This Friday was my Dutch debut on the big screen! In the documentary tell a bit about of my life and story as freelancer. A whole documentary without anyone on a payroll. It required quite a bit of organisation the guide all the 38 creative freelance minds into the same direction. To my surprise it all went quite easy. Really fun actually. It felt like all of us had something to share as being all freelancers. Like we understood each other. After a month of really, really hard working and editing it's finished. I expected having to arrive in my best dress, shoes and a lot of glamour but just as the film itself is pure, the premiere itself was pure as well. We had to be there as 'ourselves'. So I arrived in my favourite dress. My shins still bruised and scratched of the Ettringen climbing weekend and my hair fluffy as always. With Sara Kroos as presenter of the day, the head of a big insurance company as sponsor of the project, Johan on stage to tell more about his ideas and us five on special chairs on the side of the big white screen to answer questions of the viewers. Just 8 minutes but it was good. My voice, face, text, it looked like me. Like who I am. After the film (it looked so good!) we had time to chat with everyone who was involved. Nice to be around everyone again and share experiences. But it wasn't finished yet. That evening we had Berg Bios. We turned our local gym wall into an outdoor cinema. A big group gathered for a climbing movie in the grass. Dosage IV is what we watched and before the real climbing they asked me to show Zonder. I maybe found it more exciting and scary to show myself to my fellow climbers then to watch the actual premiere earlier that day. Time to go home and just be together with Dennis. Who accompanied me on this memorable day. 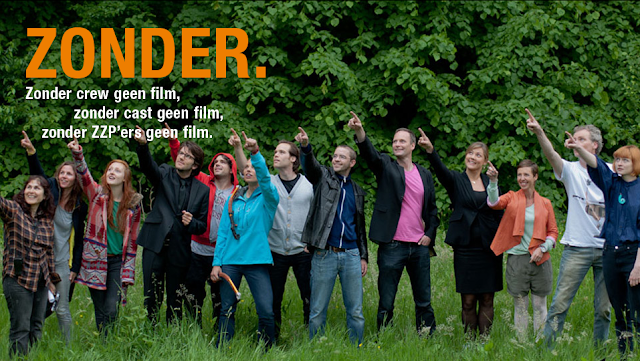 ZONDER teaser from ZONDER. | Johan Kramer on Vimeo.